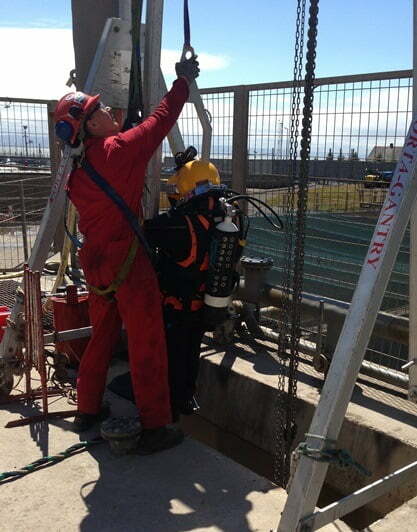 Our professional skills base and diverse technical equipment, allows us to offer a wide array of Inspection services for Clients. 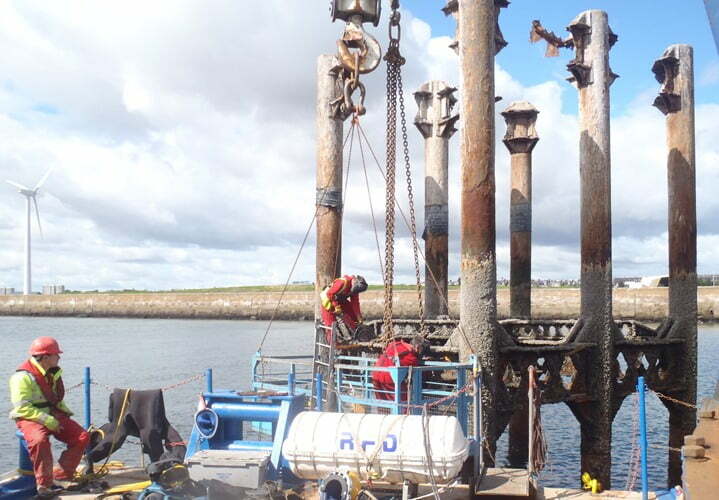 Our Diving Engineer and Team can provide Structural & Conditional Inspections of all manor of infrastructure, vessels and industrial application, read more…..
EDS have the capacity and partners to provide a wide range of submerged structural protection systems and diving services, from installation, to inspection and testing, as well as maintenance and repair. 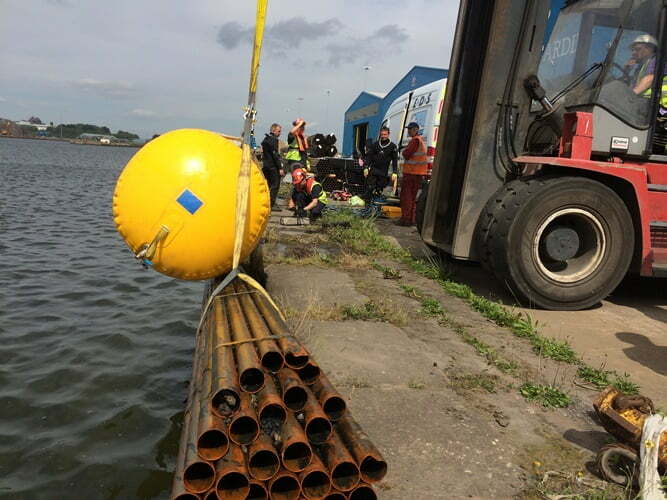 The methods of protection vary greatly depending on the structure and environment from simple scour deflection plates, to concrete encasement, cathodic protection systems and more recently “denso” pile wrapping. 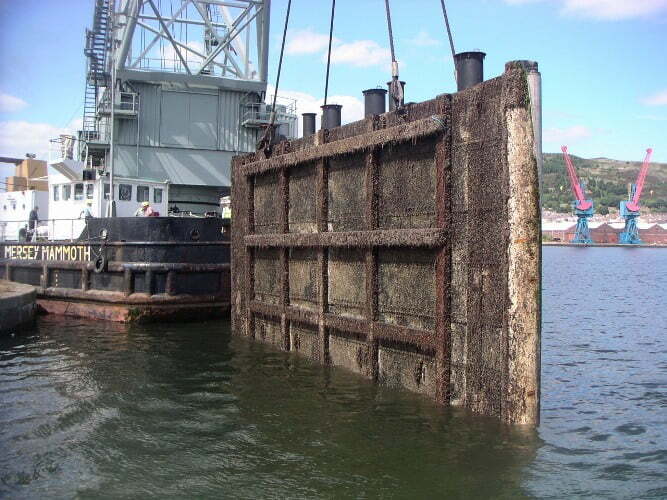 Often simple mechanical structures and mechanisms require very different characteristics and properties when they are installed underwater or in a marine environment. 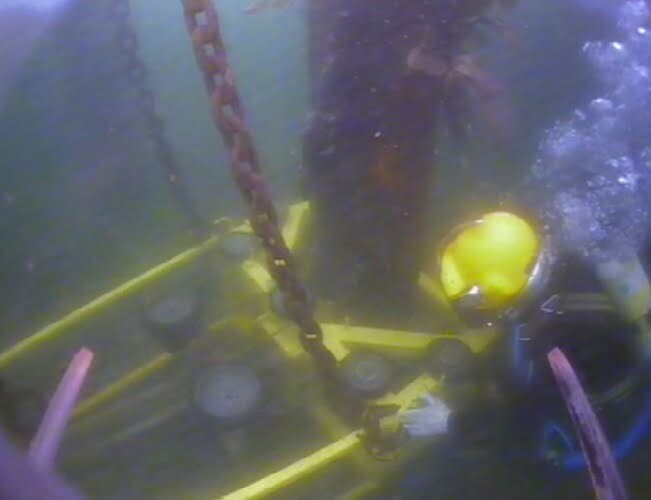 Our operational team’s skills include coded welding, broco cutting as well as the use of specialist underwater tooling for complex requirements. 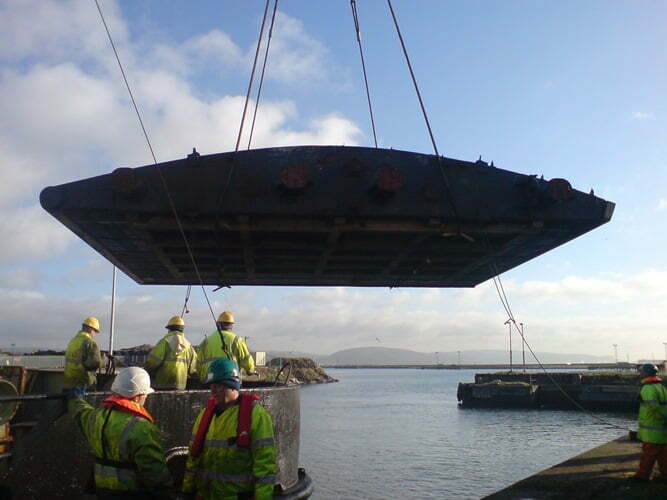 We have decades of experience in designing bespoke engineering solutions, complimented by our in-house fabrication and machine shop enabling us to manufacture and produce bespoke engineered solutions and install them using our specialist teams, providing a one-stop-shop solution for our clients. 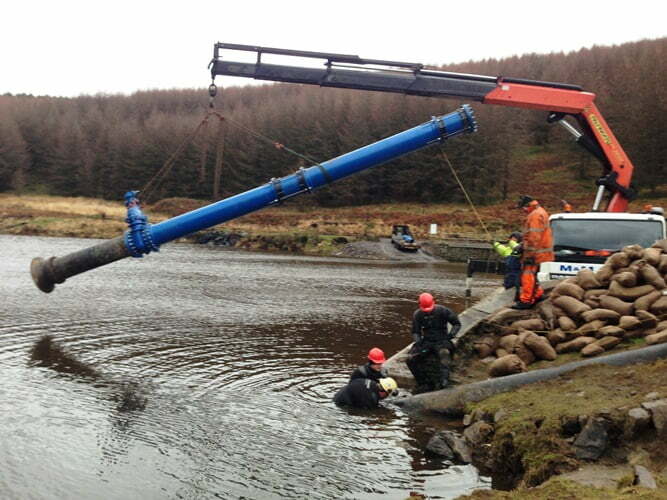 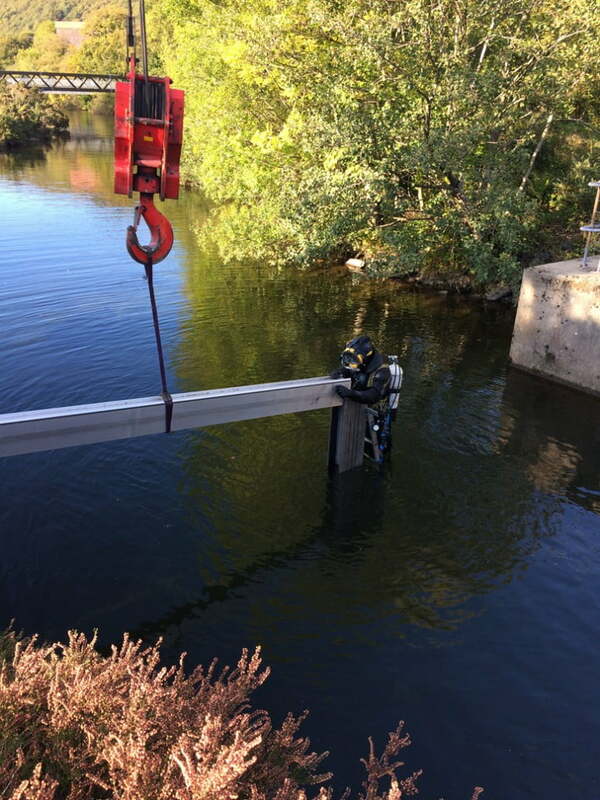 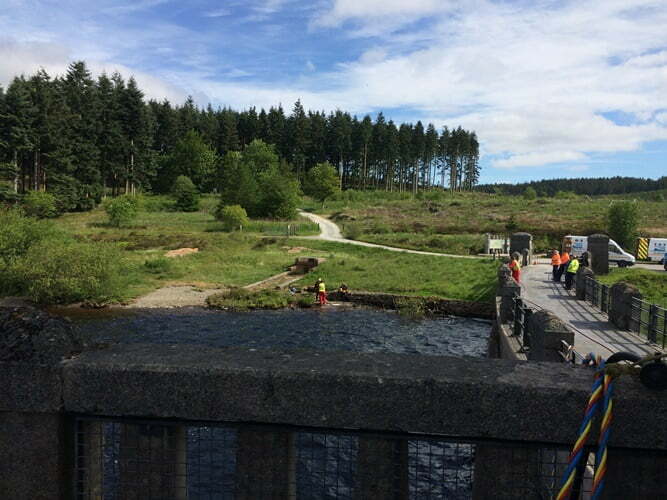 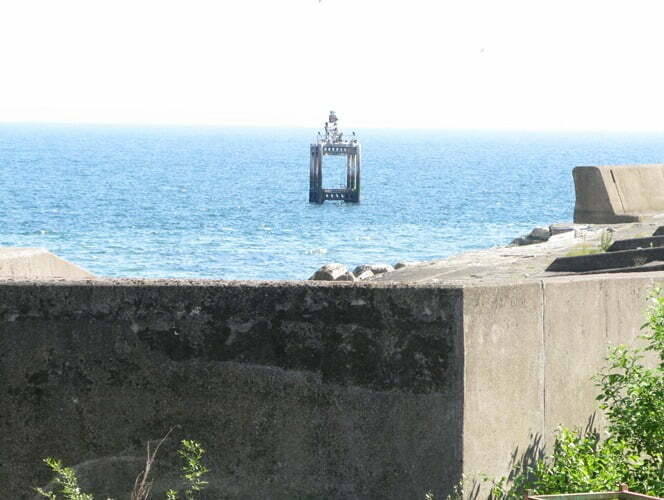 We also play a key role during the installation and maintenance of major marine infrastructure such as barrages, lock gates, moorings, penstocks, stop logs, as well as within industrial installations such as power station cooling water systems, outfalls, treatment plants and pumping stations. 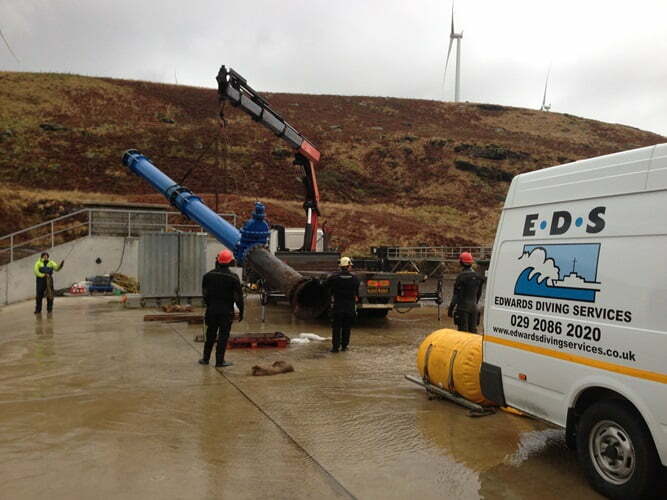 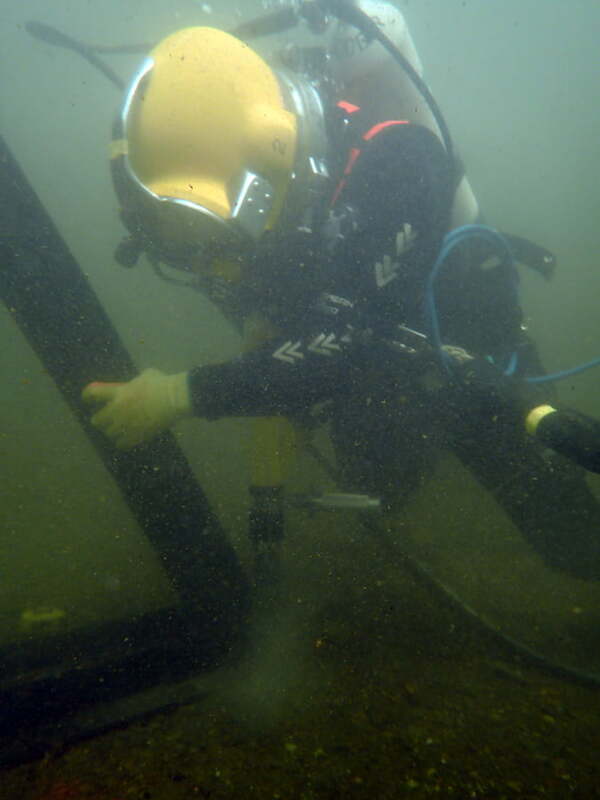 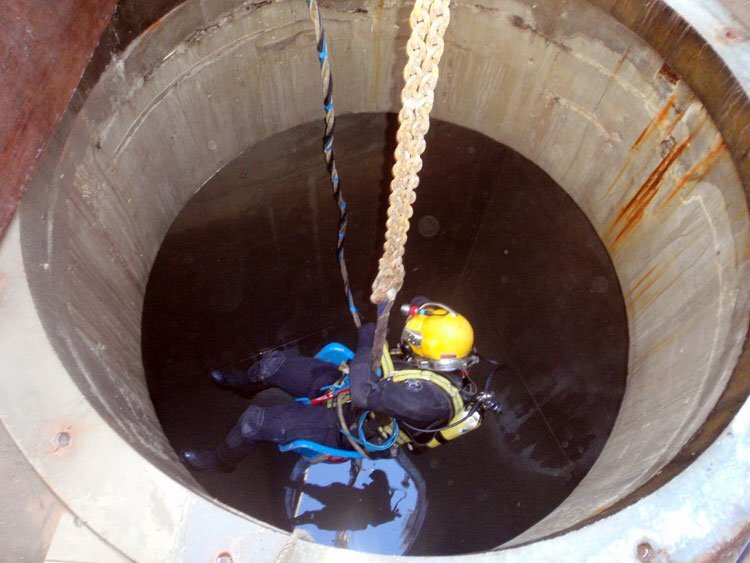 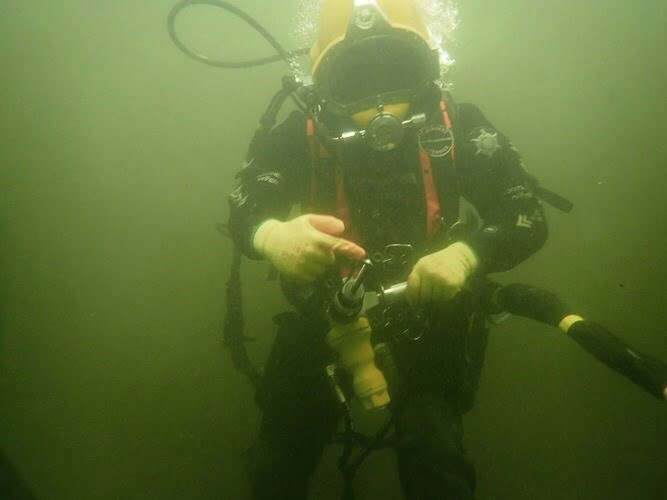 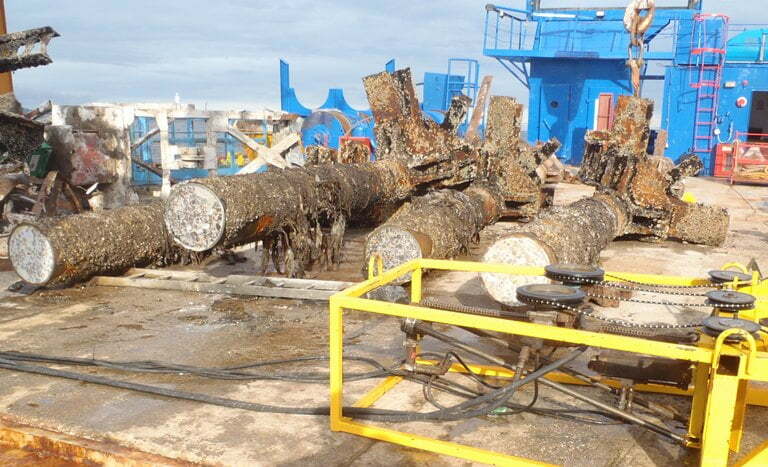 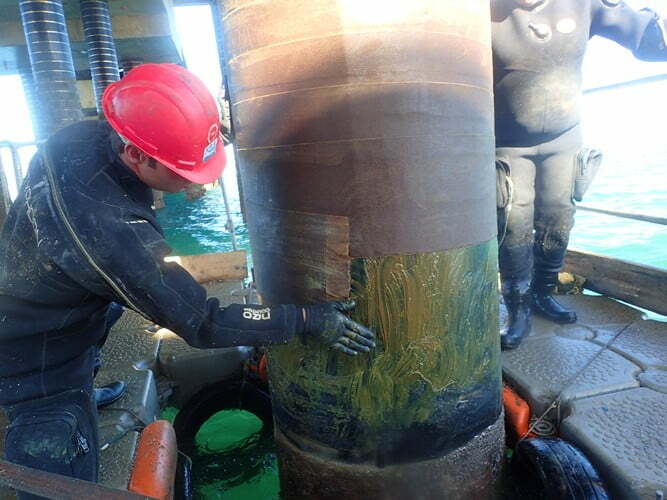 Edwards Diving Services are often required to remove submerged structures from the natural environment that are no longer in use and present a danger to shipping, the public or the environment. 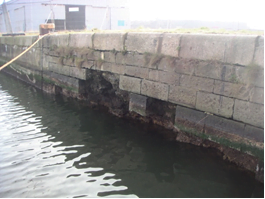 Many structures were built without any consideration of how it could be removed, presenting significant challenges for the responsible client. 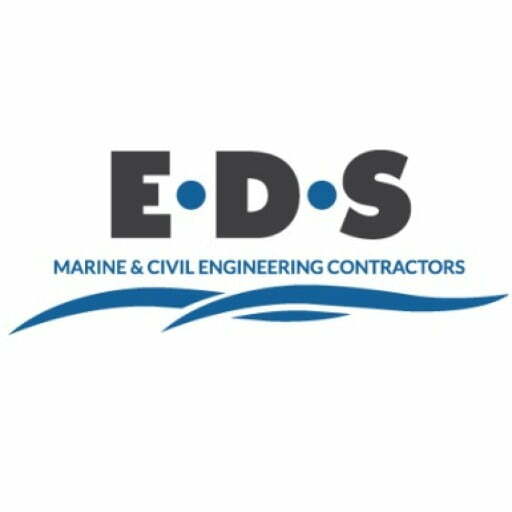 Here at EDS, we love a challenge and have not yet been presented with problem that we couldn’t successfully solve. 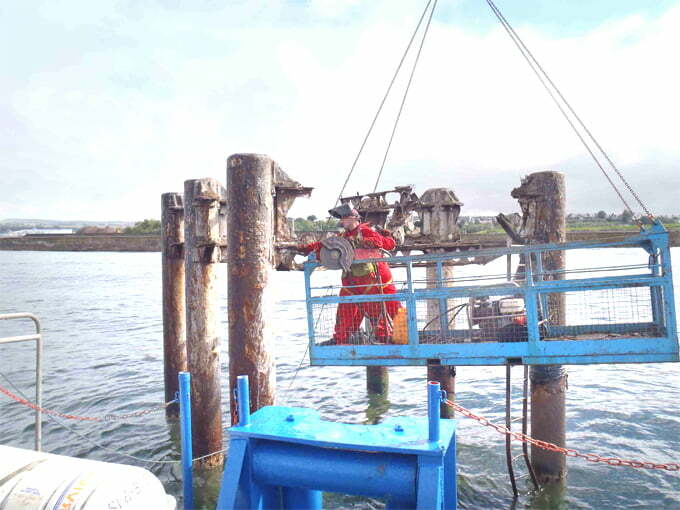 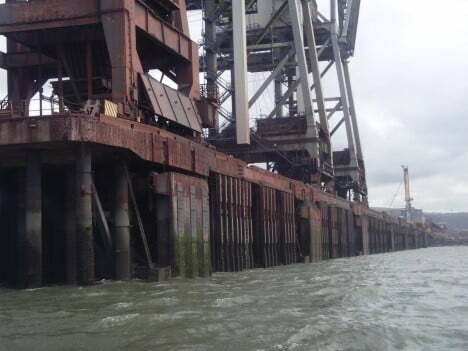 Take a look at our project to remove a power station long sea outfall structure, you would have thought the major issue would have been the 450mm concrete filled steel pile with 9 x 15mm thick rebar through it, yet it was cormorants nesting on the structure that caused us the largest problem in delaying our work until they had finished nesting. 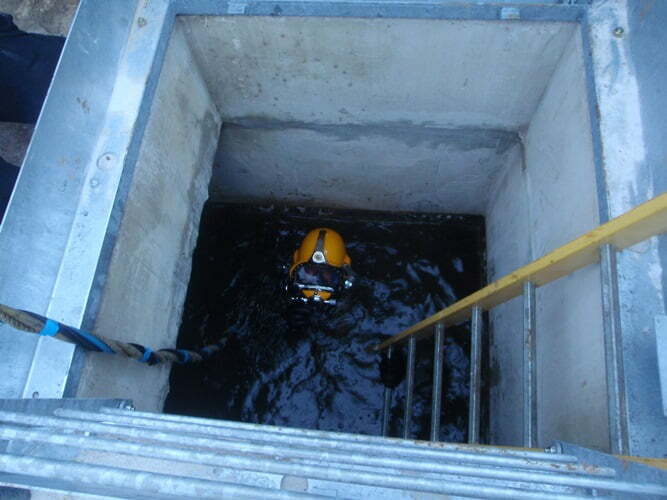 Subsurface civil engineering is another area of expertise Edwards Diving Services have developed over a number of decades, whilst in keeping with technological advancements to ensure the best value and sustainable solution is offered to our clients. 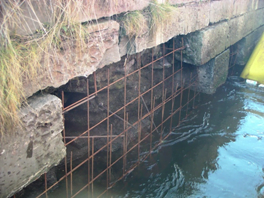 We have developed specialist methods and practises for submerged concrete operations, using a number of different formwork configurations, including the commonly used MEVA panel system, and often involving complex formations. 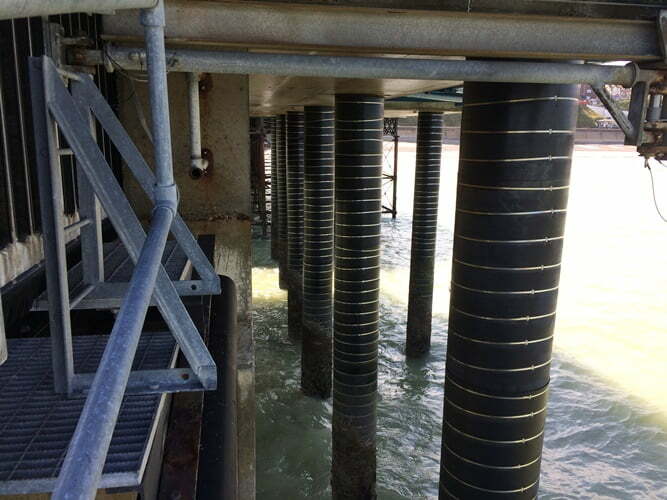 We work with concrete suppliers to understand and deliver high quality results for the clients specific consideration, be it scour, chemical corrosion or ecology. 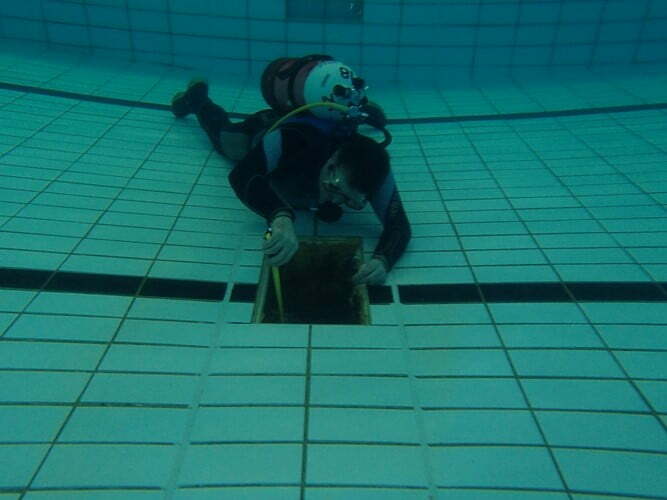 We use a number of innovative products such as underwater additives, Natural Cement, concrete canvas. 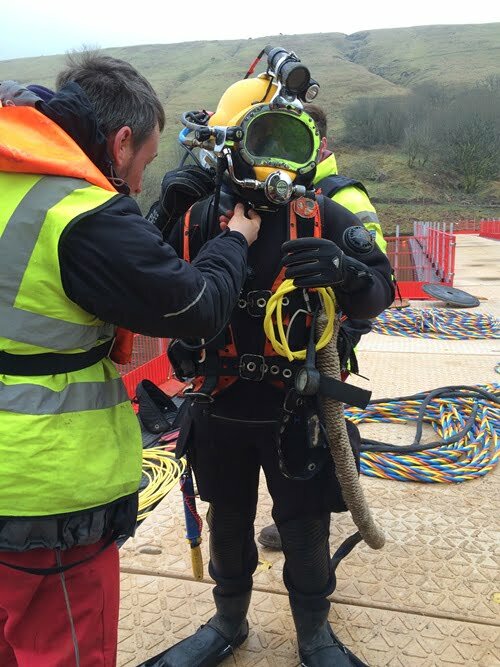 Edwards Diving Services are proud to support Dwr Cymru Welsh Water on a framework agreement for the maintenance and preservation of their infrastructure. 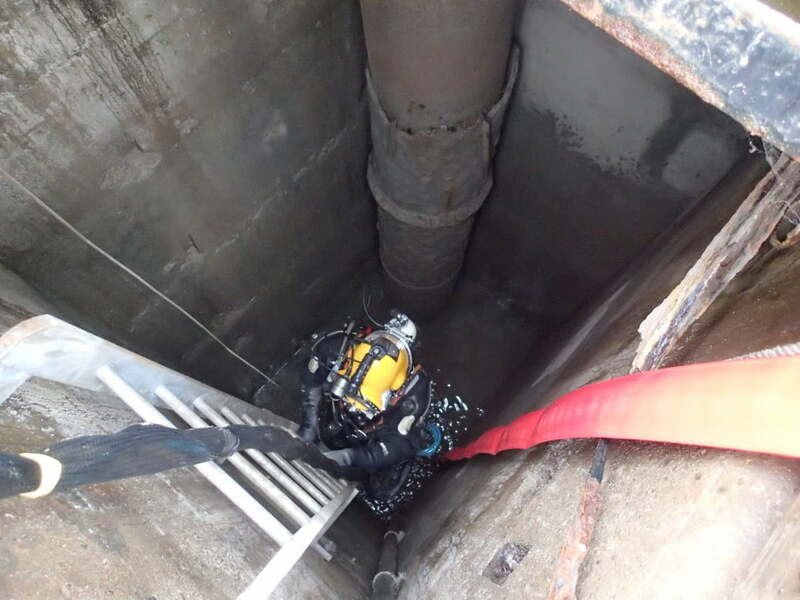 Wales, being blessed with magnificent mountains and plenty of rainfall, is home to a large number of significant reservoirs, a vital part of our modern utility infrastructure. 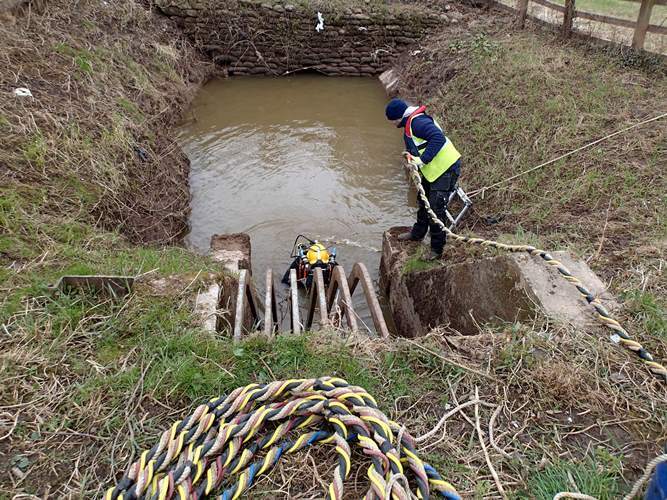 Our role is to provide emergency response teams to quickly resolve problems, conduct inspections and surveys for preventative maintenance and support major projects with our expert knowledge and specialist equipment. 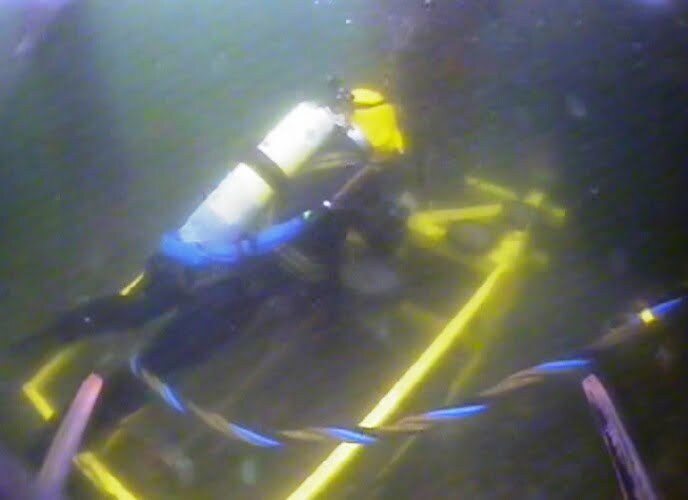 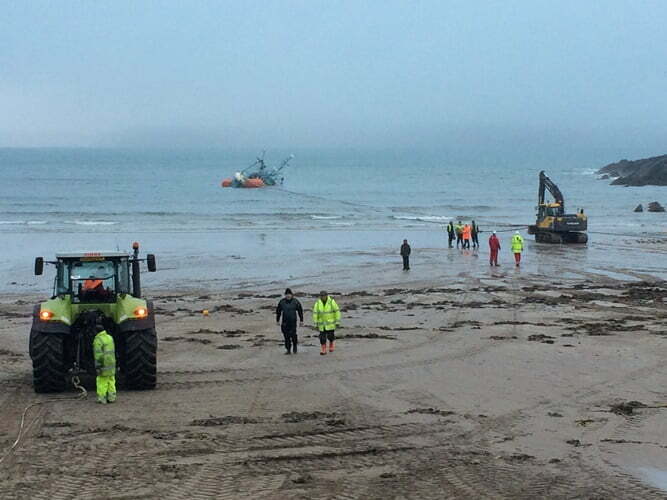 Locating sunken / lost vessels and equipment. 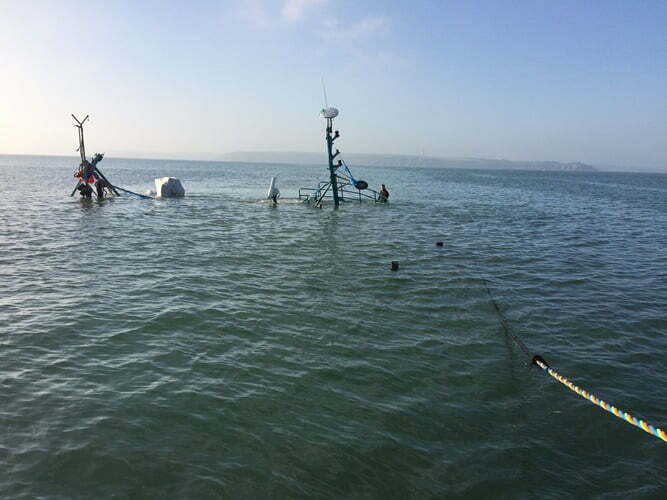 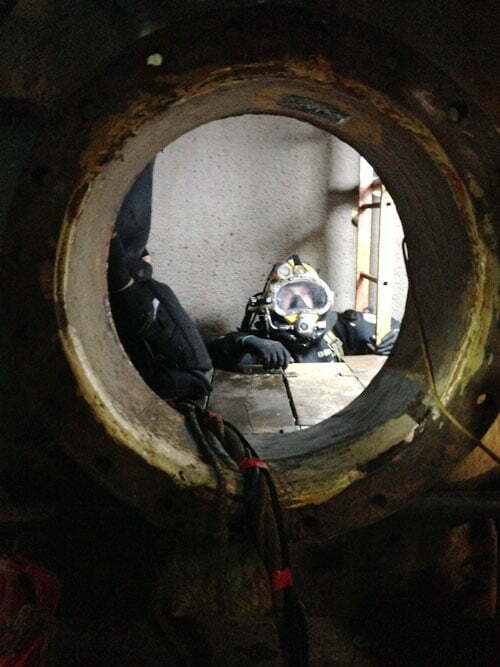 Conduct immediate risk assessment of located vessel / equipment and deploy our own pollution booms if necessary. 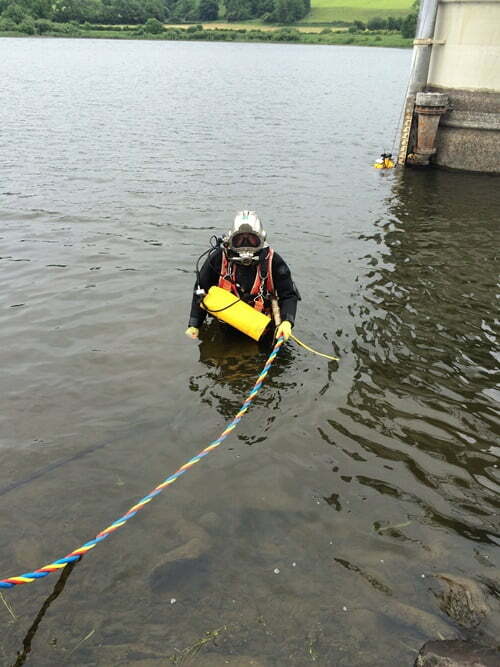 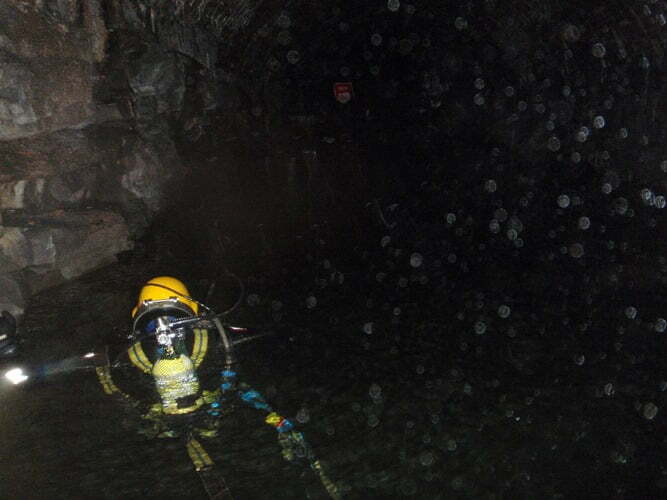 Conduct underwater inspection either by diver or ROV (remote operated vehicle) dependant on the environment. 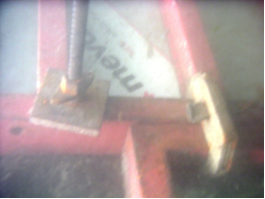 Assess damage and advise on best methods of recovery. 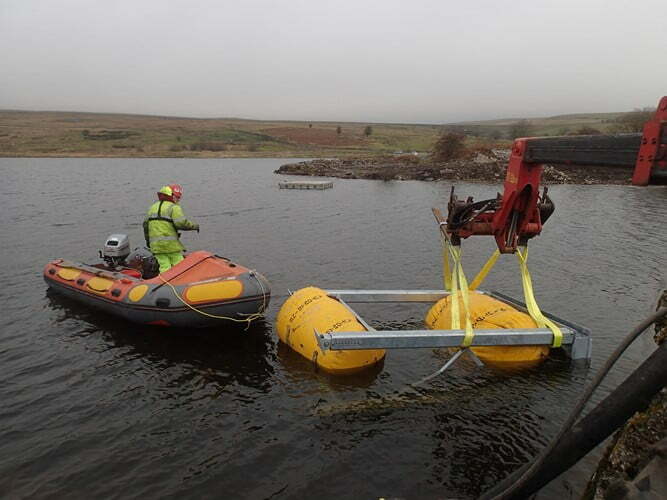 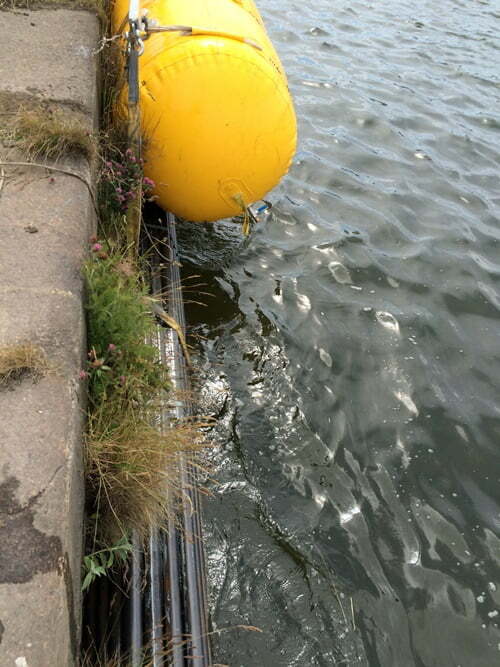 Secure sunken vessel/ and raise using airlift bags to allow surface recovery. 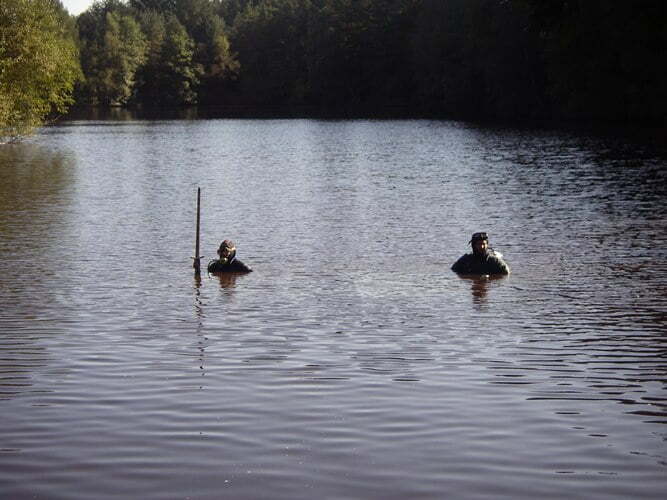 Locating lost equipment in difficult environments with nil visibility is also part of the challenge. 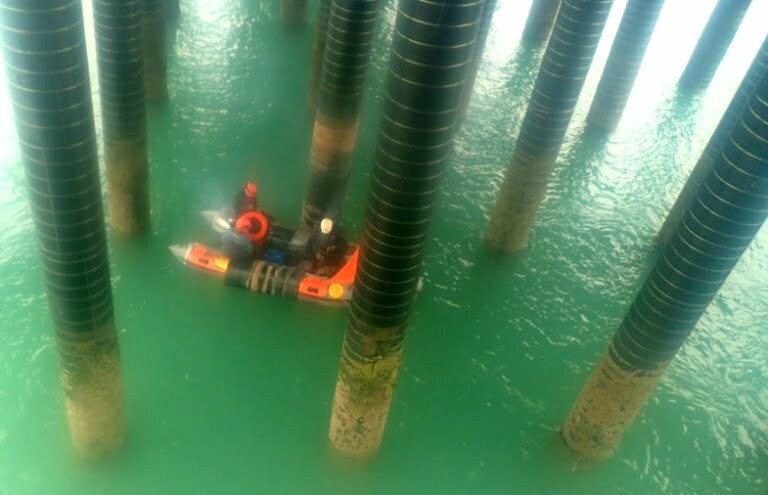 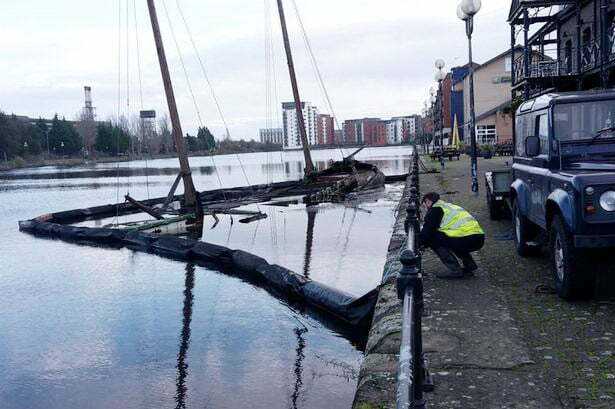 You’d be amazed at what we’ve been able to locate and recover for clients, it’s not just boats, although each one presents a different challenge. 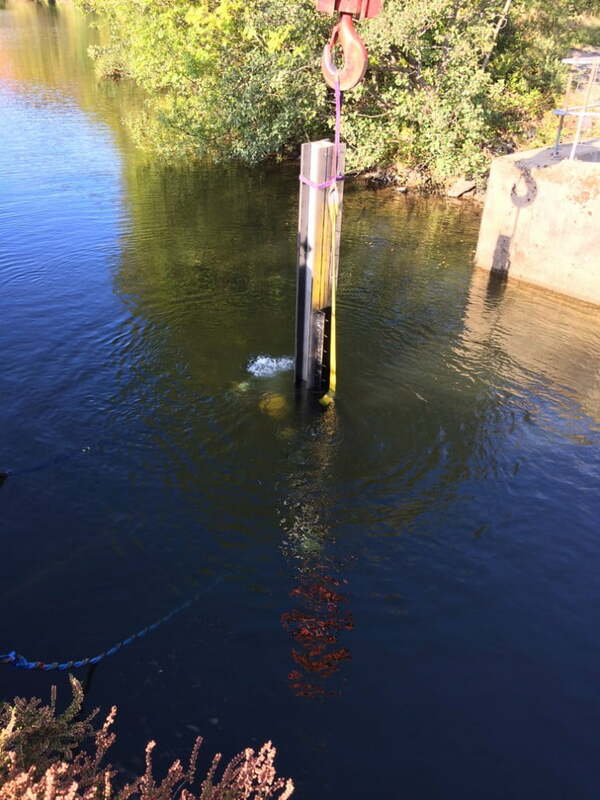 We have located and recovered scientific monitoring equipment, steel cargo, lost anchors, even a member of the public’s spectacles whilst on a job. 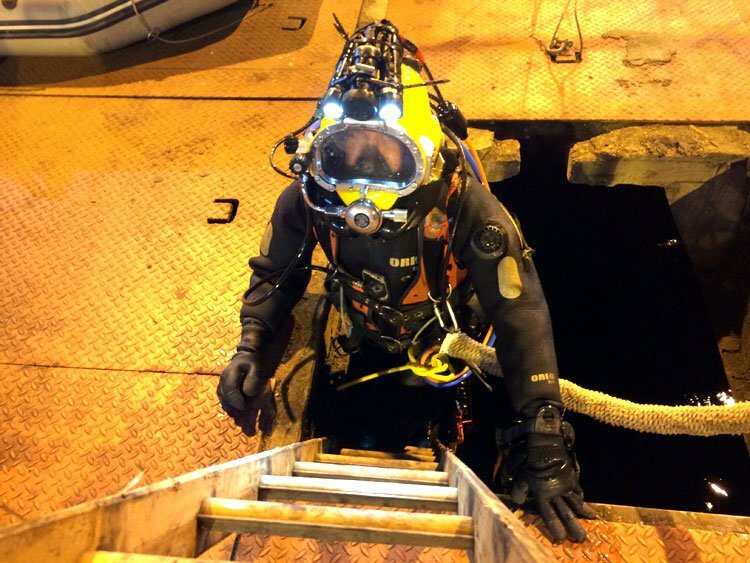 Please see our news articles for recent salvage success stories…..
Edwards Diving Services has practical experience of repairing and inspecting swimming pools, as well as assisting with the engineering challenges that modern multifloor swimming pools present. 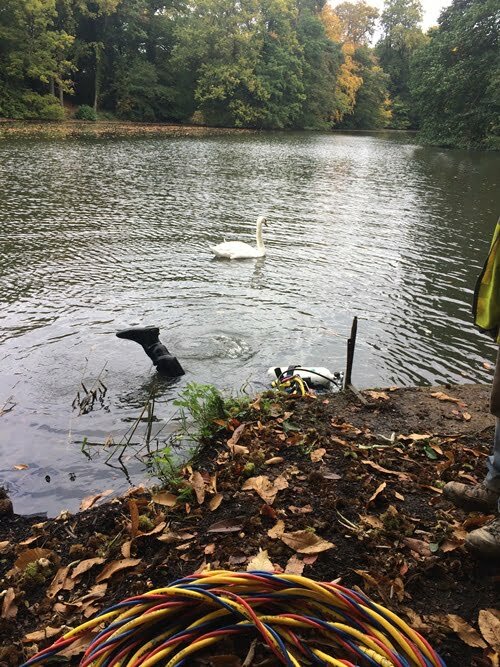 All our work can be done underwater without the need to empty the pool, significantly reducing time, costs and disruption. 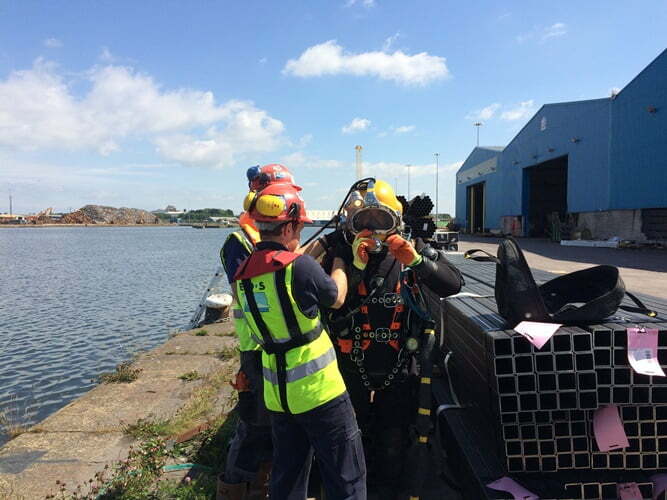 Edwards Diving Services have provided a wide range of support and services to the growing media industry in Wales and the South West. 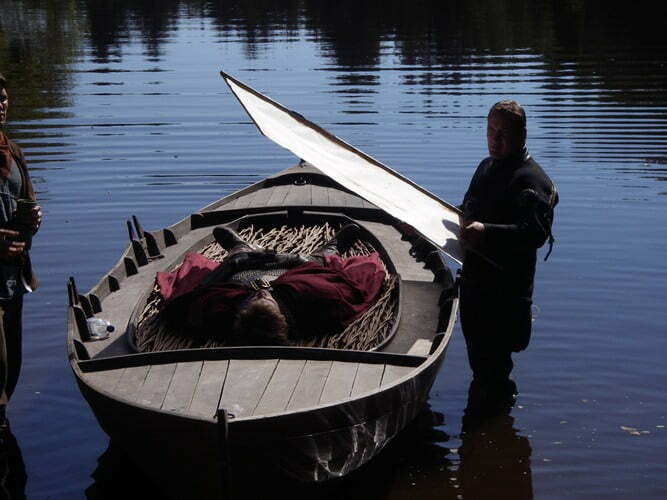 We have assisted on various on location productions, from television drama series, reality programmes and major blockbuster films. 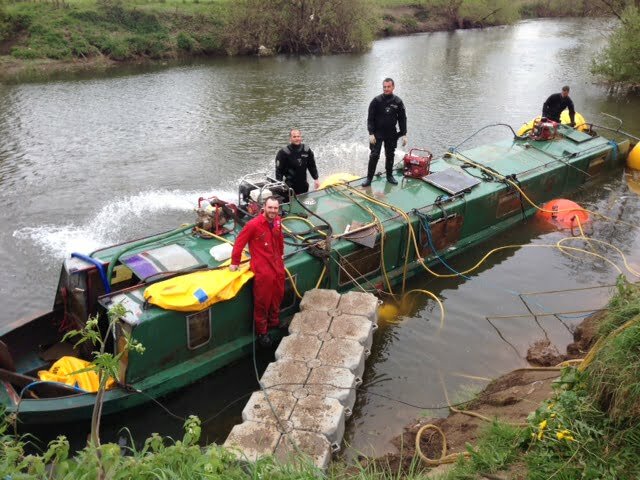 We have also assisted with various water sporting events from triathlons to speed racing.